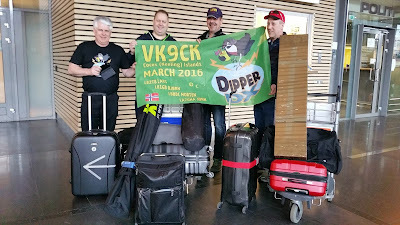 Dipper DX-team VK9CK Cocos Keeling Island. Photo borrow from their homepage. This bad boys are activ just now and until 26 March. into Norway and have had good ears for LA's.. 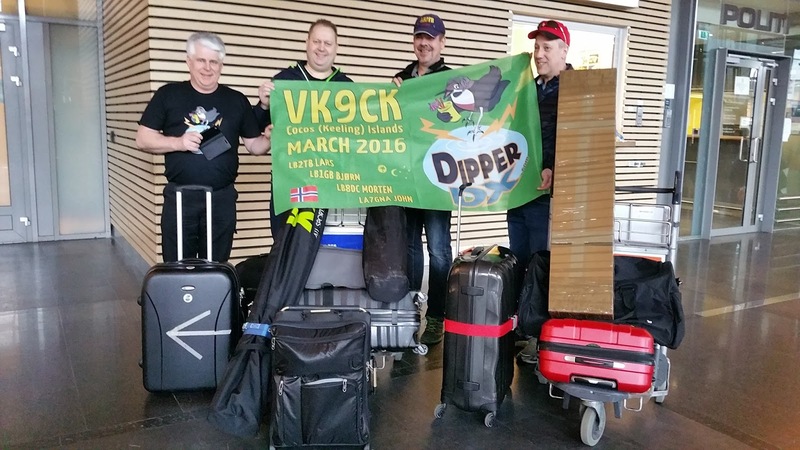 Worked them on 12-17 cw and 20 ssb with the GP7DX vertical and 100w. 30-40 mtr cw qso's was on my Optibeam dipole..
Tryed to get them on 10 mtr cw also,but my tiny signal was not getting thrue. Realy miss my beam antenna....still locked to 350 degree North...Amen..